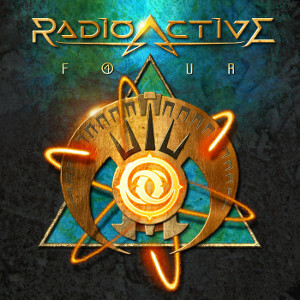 Tommy Denabder's own project RADIOACTIVE will release the new album entitled "F4UR" on April 17th through Escape Music. He has been working more than 30 years as a pro guitarist, song writer and producer, and is ranked as one of the finest guitar players in the world today. This project started since 1991 under the name of RADIOACTIVE, and has so far released 3 great albums that are highly praised by both media and fans. Produced and written by project leader Tommy Denander, this album is all about quality songs, very well written and true classic rock songs, featuring brilliant singers like Jimi Jamison, Bobby Kimball, Fergie Frederiksen, Jeff Paris, Dan Reed, Robin Beck and more. And as always you can expect some great musicians as well with song writers that include Jim Peterik, Bobby Kimball, Ricky Delin and Jeff Paris.